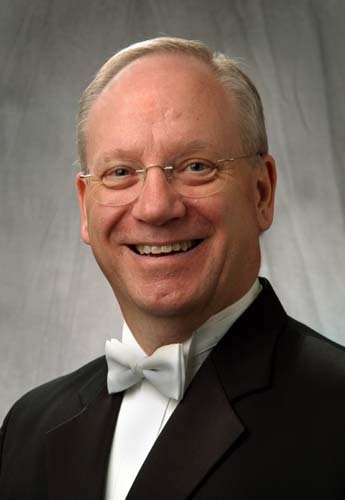 Dr. Jack Stamp is currently adjunct Professor of Music at the University of Wisconsin-River Falls where he teaches conducting. Prior to this appointment, Dr. Stamp served as Director of Band Studies at Indiana University of Pennsylvania for 25 years. In addition, he served as chairperson of the music department for six years. He holds a DMA degree in Wind Conducting from Michigan State University where he studied with Eugene Corporon. He resides in Hudson, WI with his wife, LeAnn. Prior to his retirement from IUP, he served as chairman of the Division of Fine Arts at Campbell University in North Carolina. He also taught for several years in the public schools of North Carolina. In addition to these posts, Dr. Stamp served as conductor of the Duke University Wind Symphony (1988-89) and was musical director of the Triangle British Brass Band, leading them to a national brass band championship in 1989. Dr. Stamp's primary composition teachers have been Robert Washburn and Fisher Tull, though he was strongly influenced by his music theory teachers at Indiana University of Pennsylvania and East Carolina. Other studies include work with noted American composers David Diamond, Joan Tower and Richard Danielpour. He is active as a guest conductor, clinician, adjudicator, and composer throughout North America and Great Britain. His compositions have been commissioned and performed by leading military and university bands across the United States. He has won the praise of American composers David Diamond, Norman Dello Joio, Ron Nelson, Michael Torke, Samuel Adler, Robert Ward, Robert Washburn, Fisher Tull, Nancy Galbraith and Bruce Yurko for performances of their works. He is also a contributing author to the "Teaching Music Through Performance in Band" series released by GIA Publications. In 1996, he received the Orpheus Award from the Zeta Tau Chapter of Phi Mu Alpha for service to music and was named a "Distinguished Alumnus" of Indiana University of Pennsylvania. In 1999, he received the "Citation of Excellence" from the Pennsylvania Music Educators Association. In 2000, he was inducted into the prestigious American Bandmasters Association. He was awarded the title of "University Professor" for the 2008-2009 academic year at IUP. This is the highest award the university gives to a professor. He is founder and conductor of the Keystone Winds, an ensemble dedicated to the performance of American band music. Two CD recordings on the Citadel label entitled "Past the Equinox: The Music of Jack Stamp" and "Cloudsplitter" by the Keystone Wind Ensemble with the composer conducting feature his band works. He is founder and conductor of this ensemble, and also leads them on the Citadel releases, "Night Fantasy: The Wind Music of Robert Ward", "Divertimento: Wind Music by American Composers", "Celebrations", "Wind Visions: The Music of Samuel Adler", "Songs of Abelard", "Pageant", "Cornerstones", and "Out of the Depths". He has also initiated a new series on the Klavier label which boasts three releases which include composer interviews: "The Composer's Voice: The Music of Norman Dello Joio", "The Composer's Voice: The Music of H. Owen Reed", "The Composer's Voice: The Music of William Schuman". "The Composer's Voice: the Music of Alfred Reed", "The Composer's Voice: The Music of Ron Nelson", "Leroy Anderson - The Phantom Regiment and Other Tales" and "The Band Music of Fisher Tull" released in the fall of 2015. Jack Stamp is also an Educational Artist for Jupiter Music.